Vega Da Silva, former head coach of Uzbekistan National Team was interviewed by championat.asia. - What are you currently doing? 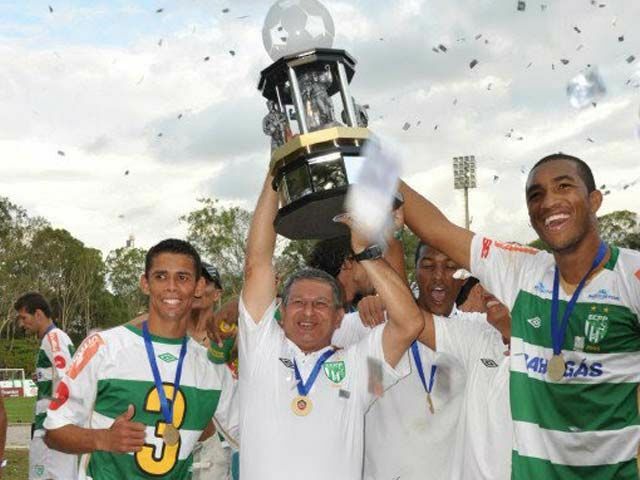 - Following my work as a head coach of Uzbekistan I had many good times and achievements in Brazil. Last few years 2010/2011 2012/2013 I worked at Victoria da Conquista in Bahia. In 2009 I was in Trinidad and Tobago’s Premier league club Mapau Sport. - I'm very happy about the results. I feel honored to have worked in this country. I remember Mirjalol Kasimov very well. He worked with me, he was my player and Captain for my team Pahktakor. I always commented on his potential to be future head coach. Now comes the time to perform a good work on to prove it. Mirjalol is a great professional and a leader. His name brings football to this country. - Despite your successful work, why hadn’t you extend your contract in Uzbekistan? - My results were very good in the country and I believe it was the administrative problems. I worked successfully and became the national champion with pahktakor, and won Pakhtakor 79 Memory Cup. We were successful in Asian qualifications for the World Cup with National Team. We won Kazakhstan 4:0 and drew with UAE 0:0. We also reached the semifinals of the Asian Games. - Compared to the years when you have worked, now our football have made a big progress. There are less poor pitches and infrastructure has been improved. Would you come back to Uzbekistan if you had an offer? - I will never forget Uzbekistan, because I left friends and wonderful people there. Now with this evolution of football, it is clear that I would accept an offer in terms of a good job. - I left a good impression with players and all. Also I had good experience with Pahktakor and national team. Developments are in the tactic and technique, players worked well and they have many qualities to develop and evolve, both in technique, tactic and the professional attitude. Now about the values currently existing in Brazil. There are many players in Serie B with high quality. And I'm sure they would succeed. Players like Kasimov, Shkivirin, Abduraimov, Fyodorov, Shirshov, Akopians, and some others were different players, today is very hard to find players with the same qualities. Concerning the leaving of Uzbek players to other countries, I see an advantage in that. Because when these players return to defend the national team, the selection comes with more experience both tactic, physically, psychologically. - It’s now a short time left to the World Cup in Brazil. Is your country ready to the big football forum? - People are working to have a great World Cup. Believe it will be very good. - Do you agree, that the reason for the Brazil’s failures in recent years is the fact that Brazilian players are going to play in Europe from their young age? It seems that we don’t see now the old Brazil we used to enjoy watching. - Brazil now has a makeover of players and changed the technical committee. Now Felipe Scolari changed the team very much. We have a chance to be champion because we play in Brazil. - In the past it used to be hard for players such as Deko to enter the Brazilian squad. Now such players are of a high value for Brazil itself. - World football today evolved. There are tactical, technical, and physical improvements. And today there are no dominating favorites like before. All the big teams have a chance and Brazil must return to its source, so it was a lot of playing with the ball with objectivity not forgetting the defensive aspect. Players leaving Brazil, I believe also have the positive side, because they take more experience. Of course that it’s best to keep them longer in Brazil. Deco is a player who worked with me. I was the first coach for Deco and Pepe. But it’s hard to find a player in the world as Deco now. - What is your opinion of Neymar, can he repeat the achievements by Ronaldo and Ronaldinho as he is being PRed? Which European team should he choose in your opinion? - Neymar is a player of a very strong personality, distinguished player. I believe it was right for the club, because the team of Barcelona has several aces and not going to be as charged as it was in club Santos. Could have the same success and Ronaldo, Ronaldinho, quality has now will greatly depend on adaptation. - We heard that in Brazil, they say, to be a good player one should be poor. There are many poor countries, but no one is Brasil though? - In Brazil it is about culture and not for being poor. I bring you an example of players who are not poor Kaka of Real Madrid is a player of a good financial level. Now the economy of Brazil has changed a lot we are in good financial position, and this provides opportunities in the children’s football. - Could you please select top 11 players from you past squads? Would there be a player from Uzbekistan? Don’t worry if there isn’t, no offenses. - I am a privileged man because I worked with many players. It’s difficult for me to format a top 11.